Our instructors are experienced passionate dancers with years of training. Each is continually improving their teaching and dance skills through continuing education with a strong focus on technique, especially the Cecchetti Method of Ballet. Teaching for the last 22 years, Miss Michele is qualified to teach Cecchetti levels 1 through 6. In 2008, she received Intermediate Certificate in the Cecchetti Method of Ballet (Professional Six). She is a recent recipient of the Marjorie Perry Spirit Award and the 2017 MusicWorks Teacher of the Year Award. Miss Michele attends the Cecchetti Teachers Seminar and MusicWorks each summer. She has studied with Denise Buffum and Jordan Academy of Fine Arts from age 7 (ballet, Al Gilbert tap). She also attended the National Academy of Arts in Champaign, IL, studying ballet, modern and character. She is married with two children and lives in Noblesville. Miss Devin has been dancing with Miss Michele, her mother, since she was three. She has studied ballet, tap, jazz and hip hop and is certified in Cecchetti ballet method up to Grade Three. Miss Devin has attended Cecchetti two week student seminar intensive in Holland, Mich. and is the Enrollment Coordinator at The Pink Slipper. She is a graduate of Noblesville High School. Miss Jennifer has been dancing since the age of two at various studios in Michigan, Oklahoma and Indiana. She was involved in cheerleading throughout middle and high school. At Indiana State University, she received an undergraduate degree in special education with a dance minor and completed her master’s degree in social work at Indiana University. She has been teaching at The Pink Slipper since 2007. She has passed Cecchetti Grade Two teachers exam and works as an Area Manager with Arbonne. Miss Jennifer currently resides in Noblesville with her husband, Scott, and children, Travis and Grace. Miss Anne came to the Pink Slipper when her daughter, Carly, was six, and taught at the studio for many years. Both Carly and Anne’s son, Clayton, danced for several years before heading off to college. Anne is a graduate of Wright State University and majored in dance and received an Associate’s Degree in Accounting. She holds certificates through Grade III Cecchetti ballet. Anne grew up dancing ballet, tap, jazz, liturgical and lyrical. Miss Caitlyn recently graduated from IUPUI with a degree in Criminal Justice. She has been dancing for 15 years and began at the Betty Hayes School of dance, studying ballet and tap. She later studied jazz with Maggie Rawls and later danced with Kristie Wright-Smith. There, she was also under the instruction of April Atherton, working on tap, jazz and lyrical. She is also a Cecchetti Grade I Certified instructor. Miss Jessica has studied dance for 15 years, starting at the age of 5 at Tippy Toes School of Dance in Greenwood, Ind. She began taking tap and ballet and at the age of 13, she began working on pointe and her love for dance grew. She has danced as a soloist for the Indianapolis Youth Ballet under Becky VanBriggle for five years, dancing in Swan Lake, LaFilleMal Gardee, Coppellia and many more. Miss Jessica also studied at Jordan Dance Academy. She has worked in childcare for six years and can’t wait to combine her experience with her love for dance. She currently resides in Westfield with her husband, Jesse, and two children. Miss Jessica is so excited to be a part of the Pink Slipper staff! Miss Susan has studied dance for over 30 years, starting at the age of 3 at Mary Lynne Lautzenheizer’s Dance Studio in Bluffton, IN. She began taking tap and jazz as a preschooler and danced all throughout elementary and high school. She continued her study of tap dance at Indiana University in Bloomington, IN where she graduated with a Bachelor’s degree in Human Development and Family Studies. As an adult she has studied ballet and enjoys challenging herself at dance conventions. She has been teaching both tap and ballet at the Pink Slipper since 2004, and hopes to for many years to come! In addition to teaching at the Pink Slipper Susan has choreographed musical theater numbers for the Belfry Theater in Noblesville, IN and for Southern Wells High School’s Sophistication Singers Show Choir in Poneto, IN. She currently resides in Pendleton with her husband, Matt, and two sons. Miss LeeAnn has been dancing since she was 3 years-old. When her family moved to Noblesville, she began taking classes at the Pink Slipper at age 8 and has continued to dance with Michele since then. 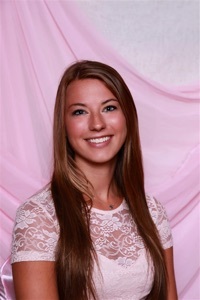 Before she graduated from Noblesville High School in 2013, Miss LeeAnn taught her first ballet and tap classes at Pink Slipper for two years. LeeAnn went on to attend and graduate from Eastern Illinois University with a degree in Early Childhood Education. She is very excited to back sharing her love of dance with dancers of all ages at Pink Slipper! Miss Brittany joined the Pink Slipper at the age of eight-years-old. She studied under Miss Michele for ten years, before becoming an instructor herself for one splendid year. After graduating from Noblesville High School, Miss Brittany studied Elementary Education and Dance Performance at Ball State University. She will graduate in May 2019, and is eager to be back home again at the Pink Slipper.